Checking accounts are not one-size-fits-all. How you use your checking account and what you need from a bank change during a lifetime, which is why Clay County Savings Bank offers a variety of choices to match your lifestyle. 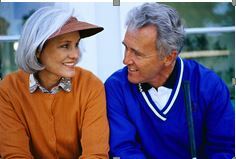 For senior banking customers age 55 and over, the Premier 55 Checking account is designed exclusively for you. Unlike many other senior checking accounts, Premier 55 offers a competitive interest rate and no monthly balance requirement or monthly fee. This checking account is designed with convenience in mind. Whether you want to transfer from Premier Plus Checking or open a brand new Premier 55 Checking account, our staff makes the process simple and easy. For more information, visit one of our locations or call (816) 781-4500 for more information.